Seoul plans to help daring individuals with innovative ideas and techniques to establish businesses, aid in continuing transfusion of new businesses, and help innovative businesses that are started in Seoul step out onto the world stage. To accomplish this, the city will offer mobilized support under its authority and capacity for an establishment’s whole life, which includes technical startup, early growth following establishment, and even global advancement. Seoul will focus on producing global businesses and innovative economic models to create a new growth engine to overcome a time of low growth. 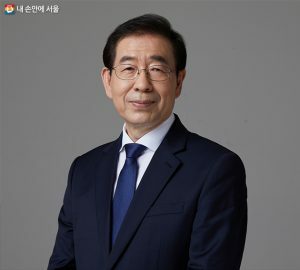 The city will prioritize the fostering of 10,000 innovative individuals, which includes talented individuals in the area of specialized technology of the Fourth Industrial Revolution and foreign entrepreneurs, who will take the lead in technical establishments and double the residential spaces of technical startups in AI and bio throughout Seoul to 2,200 to largely expand the new technology startup infrastructure. Based on such infrastructure, Seoul will aid businesses that succeed in their establishments to take a step further as a global business. Seoul will boldly invest in startups and early businesses experiencing difficulties in attracting private investors and offer a new total service from business evaluation to product design, prototype production, and connection with manufacturers so that innovative ideas can reach a manufacturable state in 180 days. With such strategically concentrated investments and support, Seoul presented seven projects with the announcement of evolving Seoul into becoming one of the top five startup cities around the globe. The aims is to invest approximately 1.9 trillion KRW (960 billion for municipal expenses, 680 billion for national expenses, 300 billion for private investments) in four years by 2022, expand the current seven unicorn companies (venture businesses with over 1 trillion KRW in valued business funds) to fifteen, and increase the weight of venture business sales, compared to total enterprise sales, to 7% (which was 3% as of 2017). The seven projects are: ① ‘Global Talented Individual Pipeline’ for fostering 10,000 talented individuals in technology, ② ‘Tech Space 1000,’ which will increase the number of technical startup spaces to 1,000, ③ ‘Strategic Growth Investment’ with funding support for 3,000 startups according to growth stage, ④ ‘Growth Promotion Platform’ that offers private leadership and public support, ⑤ ‘Productization 180’ for speedy commercialization of ideas, ⑥ ‘Testbed City Seoul,’ which demonstrates and pioneers a market for innovative, technological products, and ⑦ ‘Global Market,’ which will help 160 promising startups advance into overseas markets. First, 6,400 individuals (1,600 annually) who specialize in technology of the Fourth Industrial Revolution will be fostered based on six new industrial hubs in Hongneung (bio), Mapo (FinTech, blockchain), Gaepo and Yangjae (AI, big data, etc.). This project will also concentrate on attracting and fostering major global (foreigner) talents with aspirations in working at technological startups. The process of ‘technological startup preparation visas’ will be simplified for the issuance of visas within one week through cooperation with the Ministry of Justice, and a fast track program will be established for instant issuance of the ‘technological startup visa’ in case that a startup attracts over 100 million KRW in investment from VC (venture capital) or AC (accelerators). A new residential space will be created for over 1,000 innovative businesses around new business hubs in Yangjae (AI), Hongneung (bio, medical treatment), and more. The number of residential businesses will be doubled from the current 1,043 to 2,200 in addition to a 2.4 increase in area from 200,000㎡ to 480,000㎡. Third, the city will strengthen early investment in the business start-up and productization stages, which are steps that determine the success or failure of a startup, to help these young companies successfully walk through their own ‘Death Valley’ and grow into unicorn companies. Fourth, Seoul will launch the ‘Startup Platform’ through which publicly-led startups will be open to private businesses and venture capitalists with expertise for private leadership and public support. In the second half of this year, the ‘Seoul Startup Hub’ will be open to global investors and accelerators who will initiate startup selection, investment attraction, global advancement, and the startup incubation program with plans to expand to Yangjae and Hongneung starting next year. 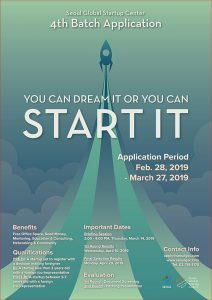 ‘Private cooperative startup spaces and networks’ will also be expanded, which is the provision of spaces by private businesses while rent is provided by the city in support of startup expositions and programs like startup competitions. Fifth, the ‘Productization 180 Project’ that offers comprehensive support for completion of an innovative business idea into a prototype within 180 days will be put into operation. This is a method of operating a comprehensive window that unifies product manufacturing support that was once done at different prototype production centers, evaluates feasibility of new ideas (inspection for duplication of similar or same products, analysis and estimation of market demand, calculation of production costs), and goes through a suitable product design phase to produce new products at the technical Makerspace. In the product mass production step, a cooperative system will be constructed with domestic and overseas manufacturers for connections with optimal manufacturing enterprises. Sixth, Seoul will become a testbed for innovative products for startups that struggle with the lack of outlets and opportunity for demonstrations after successful commercialization of innovative technologies. Opportunities for demonstrations will be offered to 500 innovative businesses by 2023 in addition to aid in technology development, commercialization, and marketing. Seoul will offer outlets for verified innovative products and services through public purchasing. Seventh, Seoul will offer strategic support for advancement into foreign markets (Going-Global) in order for excellent, innovative startups in Seoul can pioneer the way for job creation and economic growth.